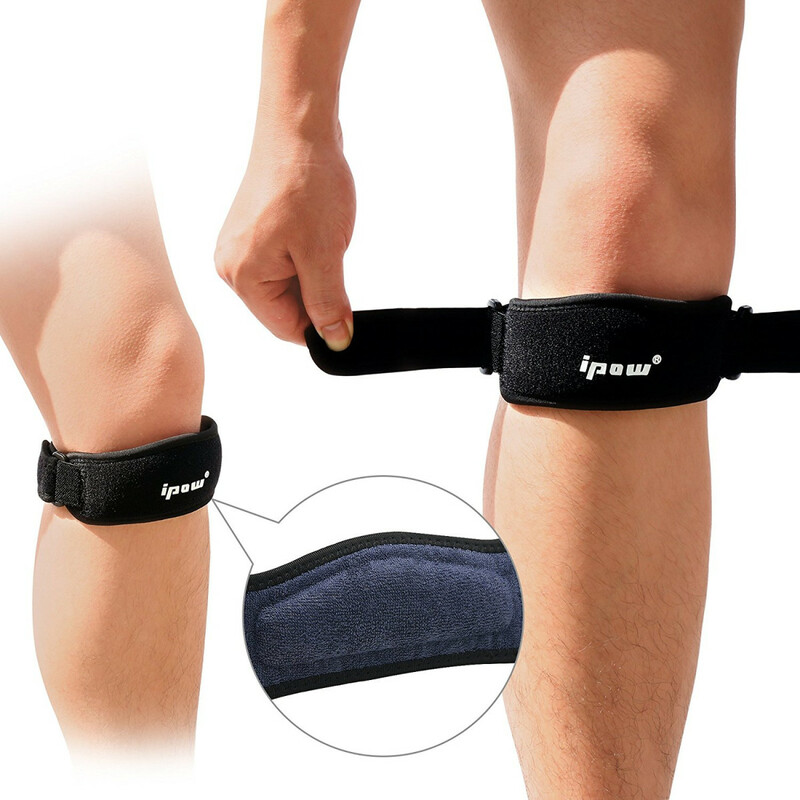 ã€Absorb Shocks & Relieve Pain ã€‘RESILIENT COMPRESSION PAD in the strap snugly holds the patellar around the knee and absorbs the shocks. Reduce the pain associated with patellar tendonitis, jumper's knee, runner's knee, chondromalacia. 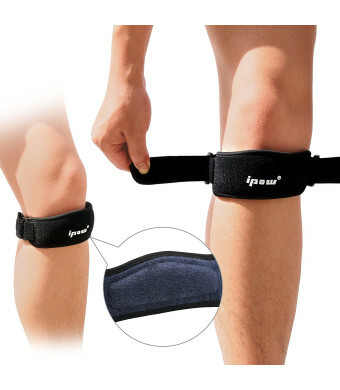 ã€Extra Wide Brace & Non-Slipã€‘Ergonomic-shape brace contours your kneecap tightly to allow for the building of muscle. Non-slip material ensures that compression is uniform throughout and stays in place for any physical activity. Gives you relief and you will be able to enjoy outdoor sports! ã€Soft & Lightweight Materialã€‘Smooth edges doesnâ€™t irritate skin and wraps tight around your knee to apply support. Not even noticeable. You can kneel and function much better with it on to give your knee enough break from the stress. ã€One Size Fits All & Reinforced Stitchingã€‘It has plenty of slack to both tighten or loosen. Fits any specific needs from a child to an adult for resting the tendon. Gives your knee professional protection to prevent accidental damage and alleviate the pressure. ã€100% Money Back Guaranteeã€‘Contact us if you are not satisfied with it. Weâ€™ll process full refund or send you a replacement without returning or any additional conditions. All issues will be solved within 24 hours.